From April 2007, here's video footage from the Immigration roundtable discussion featuring Immigration Lawyer Michael Boyle, students from the Yale Law School, and several activists from New Haven. Although this event happened in April, and the immigration bill is again on the shelf, the members of the roundtable provide very useful immigration legal advise while taking several shots at Mayor Boughton, including a witty reply to Mayor Boughton offhanded remark when he described the Yale law students as "a bunch of students that don't have much to do with their time." PLEASE, pay particular attention when Boyle describes what you should do if confronted by an ICE agent. If you don't know, a MAJORITY of people who are detained by ICE, are detailed simply because they incriminate themselves by providing information when ICE has no warrant for them. It's simply too nice outside to be on the computer so I'm devoting this weekend to some good old fashion grilling. 1. Back away from the computer. 2. Turn the computer off. 3. GO OUTSIDE AND ENJOY THE DAY!!! Now, who wants a hotdog? By popular demand, here's an oldie but goodie video from Elise "deer in the headlights" Marciano's laughable anti-immigration forum. This videoclip tells you all you need to know about the assclowns who flood their hatred on the News-Times board. Since the start of my site, I've been criticized by my politicians and anti-immigrant radicals who say I offer nothing but biased reporting. Case in point, while claiming that they're only against illegal-immigration in interviews to the press, the anti-immigrant xenophobes in Danbury show their true colors and attack ALL immigrants during their own forums, meetings, and rallies. The Vice President of the United States for Immigration Enforcement, John McGowan, has been highly critical of my coverage of his rants and issued a challenge to me to actually and factually report on his recent "well attended" anti-immigration forum. We have the fund-raising figures filed by the Mayoral and Congressional candidates. First, in the Congressional race, according to Congressman's Chris Murphy's office, the freshman Congressman collected an eye-popping $357,000 this last quarter for a total of $805,000 for the year with $780,000 cash on hand. Whoa, that's some serious cash for a first-term Congressman. In contrast, according to the State GOP site, David Cappiello's camp raised $200,432.00 last quarter with $184,958.83 cash on hand. With Cappiello in Johnson's camp during the last election, it's not that big of a surprise that he would be able to raise cash...we're talking the 5th District which is Nancy Johnson's money tree folks. The verdict is still out on whether or not this wil be an interesting race to watch but only time will tell. Now, as my friend CGG noted on CTLP, in a telling sign of some early desperation, I guess the State GOP didn't learn from the beating they took in last year's election with their pathetic attempt to slime Murphy. Of course, when Murphy isn’t staging photo opportunities, he is busy selling his constituents a heavy dose of hypocrisy. As first reported by the Majority Accountability Project, Rep. Murphy said, on the day of his swearing in, that earmarks should at least be more “transparent”. But then Mr. Murphy refused to release his list of earmarks, unlike Republican Congressman Christopher Shays of the 4th Congressional District. The Westport News hailed Congressman Shays for his honesty and transparency. No such words for Mr. Murphy. Hmm, I guess Healy's whack-pack didn't read this from MURPHY'S SITE. This type of crap from the State GOP and the NRCC is EXACTLY why people were turned off with Johnson and in a Presidential year where the Democrats should win outright on the top of the ticket, the Republicans better watch themselves as the Iraq War has placed them far, FAR behind the Democrats. I'll deal with the other crap the State GOP is attempting to smear Murphy with at another time...I have better things to do than debunk wingnut garbage. Later, I'll update everyone on the figures for the mayoral race between "Mayor Mark" and Helena Abrantes and explain why this race is going to be pretty damn exciting. In November 2006, people across the country send Washington a clear message about the war in Iraq and tossed the Republicans out of the majority and no where was this more evident then in Connecticut's 5th District. One of the biggest landslides in Connecticut happened in the 5th District with Democratic challenger Chris Murphy handed incumbent Congresswoman, local Republican favorite, Nancy Johnson her pink slip. If that was not enough, Danbury residents sent a loud message with Murphy beating the Johnson on every local machine in the Danbury. Hearing the message of his constituents when it comes to a change in course, yesterday Congressman Murphy voted in favor of HR 2956, Responsible Redeployment from Iraq Act, which would require that the Bush administration start bringing troops home from Iraq in 120 days. From the floor of the House of Representatives, here is Murphy's remarks on the bill. Here's the text of his speech. I thank the gentleman for yielding. My friends, for all that we disagree on here today, we agree on one thing – we all want a stable, independent Iraq. What I can’t understand is how anyone can still believe that our continued, open ended military involvement there will lead to a stable nation. In fact, it is doing the opposite. The Iraqi Parliament and ministries are in unprecedented disarray. The President’s own report to Congress says they haven’t met any of the political benchmarks. And an estimated 13,000 Iraqis are dead since the escalation began in January. The fact is, as someone wiser than me said, the Iraqis are paying wholesale, rather than retail, for their political decisions today. So long as we are the military bodyguard for every major Iraqi political group, so long as we are subsidizing the political decisions of Iraqi political leaders, they will never make the difficult political concessions necessary to create a stable society. Not another American soldier should die for a strategy that is, unfathomably, making Iraq less, not more stable. I'm at a loss of words about ICE goons rounding up Jose Santos and Neuza Chaves Santos and their two sons, Rodrigo and Roney. If there is any example of the insanity of ICE, this is it. Instead of me describing what exactly happened, I'm going to do something I rarely do, place a crosspost from the Santos Family support site. The Santos family has been living in Danbury, CT since the mid to late 80's. They came here from a small town in Brazil in search of the American dream like so many other immigrants have done before them. A mother, a father, two boys and one girl who was fortunate enough to be born on U.S. soil. They made a living for themselves working blue collar jobs: the mother in a factory, the father landscaping, both brothers graduated from high school and one became a carpenter and the other worked in excavation. These good people paid their taxes, donated to their church and pursued higher education. Unfortunately, their visas were expired which made them illegal. Unlike many other illegal immigrants they were on file with immigration and therefore, have been fighting desperately within the court system to get legalized the right way. They were forced to go to immigration court in Hartford, CT every 3 months. They did this for 2 years until July 10th, 2007 when they were handcuffed and thrown into jail like criminals after showing up to their court date as usual. The daughter cried hysterically only asking to speak to her family before they were sent away. A simple right deserving of any decent human being. The less than sympathetic officers only allowed the daughter a brief 5 minute conversation with her mother through a thick plastic shield with phones on either side. The mother told her daughter to be brave and then gave her some last minute advice before being told that her time was up. The mother (who is in her late 40s) was separated from her boys and they were all shipped to a different jail in Massachusetts. The officers informed the daughter that they could be held in custody for up to 3 months. Three months behind bars for what? What could they have possibly done to deserve to be treated like criminals? I wonder how those officers would feel if their mother, father and siblings were thrown in jail for circumstances beyond their control. I find it funny that such a God fearing country, a country founded by immigrants, created by immigrants and defended by immigrants can treat an entire family of HUMAN BEINGS like so much stale garbage who's pickup date has been long overdue. There is a reason why so many immigrants will do anything to live in the home of the free and the land of brave. The employment in countries like Brazil is scarce. I have seen Brazilian doctors, lawyers and others professionals who have chosen to come to the U.S. to cut grass and move boulders instead of practicing their craft because they couldn't make a living in their home land. This is the kind of country that they are sending this family back to. Two young-Americanized brothers who can barely speak Portuguese because they spent their entire lives around baseball and hot dogs instead of soccer and salgados. What harm are they causing the community by staying within our borders and paying our taxes? Most of the mother's side of the family all live legally within the U.S. so by deporting her they are not only taking her away from her daughter but also her brothers and her own mother of age 70. An injustice has been committed and a family has been torn apart. Why are we allowing this to happen? These people are no more criminals than Rosa parks was a criminal or any other African-American who's rights were limited by laws that were put in place to oppress the poor and empower those who fear change. They are only guilty of trying to survive and trying to give their children an opportunity to flourish. Many of us have been fortunate enough to have been born or naturalized in this beautiful country. Ask yourself, If you weren't so fortunate to have been born here? If you didn't have all of these opportunities? If you could leave that disparity and venture to a new land that offered you nothing but the fact that your hard work will produce hope for the future of you and your kids... would you be a criminal for pursuing that hope? This 17 year old girl is now left without her family to support her at the time when she most needs it. She is now left with all of the debt her family has left behind for her to pay off. Her family will be deported but the bills that remain are very real. She would also like to be able to purchase a plane ticket to be reunited with them when they arrive in Brazil. These people need our help. They have gone through thousands of dollars in lawyers fees only to come up empty handed with an empty pocket to match. Again, I'm at a complete loss for words in regards to this case...it's simply heartbreaking, completely outrageous, and doesn't make any common sense. We really need to get the elected officials who cheer for ICE out of office...and pronto. Word has it that this particular case is sounding alarm bells, which is why it's important to contact your elected officials and express your support for the Santos as well as vent your outrage at the tactics of ICE in regards to this case. You can also help us by contacting these elected officials and asking them to do all within their power to assist. Representatives from Congressman Courtney's office also hold office hours at Quinebaug Valley Community College every 1st and 3rd Thursday from 12n-5p. Write to him by clicking here. This isn't 2005 and using this card is getting VERY old. Boughton said the big issue he continues to hear about is illegal immigration. "It tops the list. 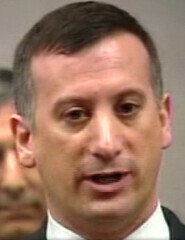 People want me to remind people in Washington, D.C., they are very concerned with illegal immigration," Boughton said. This is what when you choose to listen to one group of residents, who are telling you what you want to hear, while ignoring the others, who are reminding you that your leadership is a utter disappointment. Ladies and gentlemen, this is what called, in political terms, "slight of hand." It's usually done by a politician, who after three terms in office, has NOTHING TO RUN ON. • OUTRAGEOUS TAX BREAKS TO DEVELOPERS. • Failure to address developmental concerns from residents UNTIL WAY AFTER THE FACT. • Running the city like a monarch. • Boughton's favorite answer to criticism is to point to the previous administration ALTHOUGH he's been in office for three terms. ..and trust me people, I'm holding back. PLEASE, please, continue with the tired illegal immigration rant as part of your re-election game plan as it only caters to the low-information voter and the laughing stock of our city who blinded with bigotry that they can't see straight (insert Elise "deer in headlights" Marciano and Tom Bennett here). By the way, how's that Support Reform project going? I get a kick out of the list of ALL THE WONDERFUL achievements on the site and I've given up on an explanation how one of my photos ended up on that well-designed site. 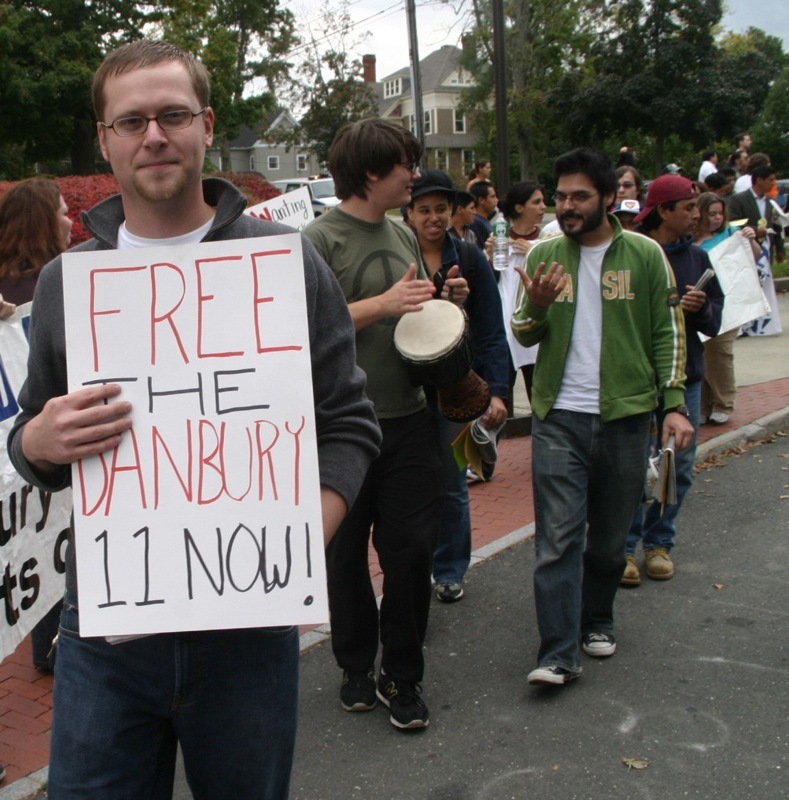 Using these tired campaign gimmicks only goes to further illustrate just how far out of touch this mayor and his current administration are with the residents in Danbury, which include numerous people at City Hall, civil servants (police, firemen), unaffiliated voters, and Republicans who had enough of "Mayor Mark." Simply put, residents are simply fed up and had enough of this mayor and this god-awful administration and after three-terms of Boughton's rule, many in Danbury want a change in the way things are done in this once great city...and no amount of shameless self-promotion such as the over-hyped 311 system (I'm still on hold), "Mayor Mark" emergency-alert robo-calls (thanks for calling me at home that it's snowing...it really helped to get that call WHILE I'M AT WORK), two new police cars, countless god-awful misleading television interviews, or babbling from the soap-box about immigration will do the trick. This is beginning to read like a bad Soprano's script. I mean, it's a sad day when you can't get someone roughed up for bargain price of 500.00. A motion filed by prosecutors for Thursday’s sentencing of a trash company manager details how individuals with alleged mob ties failed to carry out an assault of the man state Sen. Louis DeLuca, R-Woodbury, said was abusing his granddaughter. New court papers filed in Richard Caccavale’s sentencing say trash hauler James Galante turned to Caccavale to carry out the assault. DeLuca, who plead guilty to threatening charges last month, asked Galante to have one of his associates pay the man a visit. Galante then turned to Caccavale to handle the $500 job. The assault, which never occurred, was described as “deck building” in phone conversations between Caccavale and the individual he hired to carry out the assault. “On April 7, 2005, Caccavale, using coded language that referred to the visit as “deck building,” learned that his associate had found “a guy to build that deck” and that it would cost $500. Caccavale suggested that the guy should start by “scouting it out” and Caccavale would then go over the rest of the details. Caccavale expressed reluctance at saying too much on the phone,” court documents state. In the end, Caccavale and his associate were unable to find their target and decided to lie about the visit to Galante. “They discussed the cover story they would tell Galante to assure him the mission had been accomplished,” court documents state. Tell me again why DeLuca shouldn't resign? Since I'm pretty busy gathering information and conducting interviews, here's a report that getting a good deal of attention in New Fairfield. A 19-year-old Bronx, N.Y., man was in critical condition at Danbury Hospital on Tuesday night, after being pulled hours earlier from the waters of Squantz Pond in an area that has proven deadly to swimmers over the years. Witnesses said Jarvell Ward began floundering immediately after jumping into the water from "The Rocks," a remote spot in the park located well outside the area protected by lifeguards. It is posted as off-limits to swimmers. "I don't think he knew how to swim," said Shad Anglero, 23, one of more than a dozen people who accompanied the victim to the park. Most of them were making their first visit to the popular swimming and picnic area. The near tragedy, which happened just before 2 p.m., came barely a week after the state DEP announced additional measures intended to enhance the safety of visitors to the park, where eight people have drowned since 1998. Seven of them died in the same area as Tuesday's incident. New Fairfield First Selectman John Hodge said the victim was under water for about eight minutes before rescuers found him and pulled him back onto The Rocks, where they began CPR. A visibly upset Hodge accused state officials of not following through on promises to protect park visitors, citing in particular the absence of a personal watercraft that could have brought rescuers to the scene in half a minute, instead of forcing them to run more than a quarter mile over boulders and fallen trees to reach the spot where the swimmer vanished. "DEP promised upgrades and improvements, and they didn't follow through on any of them," Hodge said. In addition to the lack of a watercraft, no DEP officers were in the park at the time, and there was no one handing out fliers to warn visitors about the number of drownings at Squantz and advising them to keep away from The Rocks, Hodge said. "They should either protect the people or close the park down until they can," Hodge said. As I stated earlier, I'm in the process of archiving the Danbury Live show. In the future, you'll be able to watch previous episodes of the show, which will be located in the HatCityBLOG video vault. From the Danbury Live archive, here's June Common Council meeting. MattW over at My Left Nutmeg pointed to this tib bit of info regarding what's on the agenda at the next State Central meeting. Harwinton, CT Democratic Town Chair Myrna Watanabe and former Congressman Jim Maloney plan to introduce the following resolution for discussion at the July 25 meeting of the Democratic State Central Committee. NOW, THEREFORE, the Connecticut Democratic State Central Committee submits that his actions and admissions constitute ample grounds for his impeachment, and that the General Assembly of the State of Connecticut has good cause for submitting charges to the U.S. House of Representatives under Section 603 as grounds for President George W. Bush's impeachment. The Connecticut Democratic State Central Committee further submits that Articles of Impeachment should charge that President George W. Bush has violated his constitutional oath to execute faithfully the office of President, and to the best of his ability, to preserve, protect, and defend the Constitution of the United States. In all of this, George W. Bush has acted in a manner contrary to his trust as President, subversive of constitutional government, to the great prejudice of the cause of law and justice, and to the manifest injury of the people of the State of Connecticut and of the United States. WHEREFORE, be it Resolved: President George W. Bush by such conduct, warrants impeachment and trial, removal from office and disqualification to hold and enjoy any offices of honor, trust, or profit under the United States Constitution. I'm going to be in the first row of this meeting! UPDATE: Connecticut Bob offers this point. * Contact your local DTC chairperson and let them know you support this resolution. * Tell them to contact all State Central members to express your support. * Have them arrange for a proxy if they can't make the meeting to vote in support of the resolution. Myrna is contacting members of State Central to get a consensus. This resolution will only be introduced if there's enough support for it to pass. Please help by contacting your Democratic Town Committee chairs and telling them to support it. UPDATE (from Danbury DTC Chairman): Actually the entire 24th State Senate District (Danbury, New Fairfield, Sherman and part of Bethel) is represented by Jim Maloney and Dianne Eppinger. Sorry for the lack of posts folks but I'm deeply involved in a pretty complex local story that's taking a great deal of my time and energy right now. Also, as I stated in a earlier post, I'm in the process of upgrading this site for the two-year anniversary as well as freeing a GREAT deal of space on my system (and if things go the way I think they're going to go, I'm going to need every bit of that space for new video). As always, thanks for your readership and please keep the emails coming. I swear, if the News-Times did half the work I'm doing right now, we wouldn't have such a god-awful newspaper. That's how much money Jim Himes raised in the second quarter in his quest to unseat Congressman Chris Shays. Greenwich Democrat Jim Himes raised about $352,000 in the last three months in his bid to unseat long-time incumbent Rep. Christopher Shays, R-4. The early total is a record for a challenger in the 4th Congressional District and will likely clear the way for Himes to capture the Democratic nomination next summer without a primary. State Rep. Jim Shapiro, D-Stamford, announced last week that he would not run for the seat that Shays has held since 1987. When you take into consideration that Republican Sean Sullivan raised anywhere between 25,000 to 30,000 in his challenge against Congressman Joe Courtney, this number is pretty damn impressive. "The people who have contributed -- in amounts small and great -- and those who have given of their time and energy -- have shown that our District is ready for a different voice in Congress,” said Himes. “We want a Congressman who will put the chaos and confusion of an ill-conceived war behind us and move on to address the issues of the day: education, health care, transportation, energy independence and competent national security. Our working families in Bridgeport , our growing businesses in Stamford and our commuters from every corner deserve nothing less." "My pride today is mixed. Today a man half my age is shouldering a weapon and climbing aboard a transport that will deliver him to a foreign battlefield. He, more than any of us, has cause to reflect on how we choose those who will send him away or bring him home,” continued Himes. “Would he, or any of the brave men and women in our military, be interested in dollars raised? Or would he instead select a leader based on the caliber of his ideas and judgment? Thank you very much to everyone who has given of their time and resources to demonstrate their trust in me to do the job better. It is time for change." Instead of posting this weekend, I'm taking time to clean up the harddrive and make some minor upgrades to the site as well as my computer. Simply put, I have need to archive the videos on my drives and free up space for new material and as readers of this site know, archiving takes a great deal of time. I want to take a moment to thank those who have emailed tips and information in Danbury-related items. A popular question I get regards advertising on HatCityBLOG and I'm working with blogads to add advertising capabilities to the site as well as some other goodies that I think you'll like. As HatCityBLOG approaches it's two year anniversary, I'm going to do all my best to make this site one of the best local blogs in the country and looking at all the feedback, it seems like people across the country are really taking notice and like what they see.